The 3rd National Mathematics Conference: Maths Counts 2016, takes place on Friday 22nd and Saturday 23rd of April at University College Dublin. The conference will focus on teaching through problem-solving and the role of Reflections on Practice in leading professional learning in the context of professional learning communities. 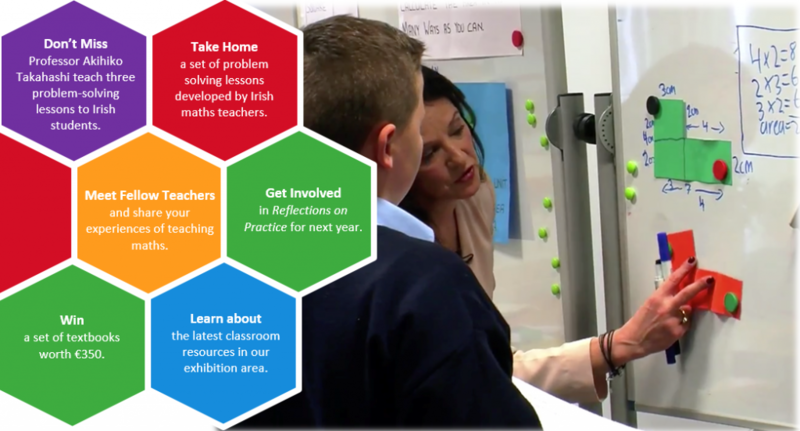 Our aim is to bring together all teachers of mathematics from across Ireland to share their knowledge, understanding and experience of Reflections on Practice. We are very pleased to invite all teachers of mathematics and those involved in mathematics education to join us for Maths Counts 2016. The conference will feature keynote speaker Professor Akihiko Takahashi, an internationally-acclaimed expert in facilitating teachers to develop their ability to teach through problem-solving. Professor Takahashi has agreed to teach a problem-solving lesson to a group of students live at the conference. This is not to be missed! The conference also includes the ever-popular teacher sessions where you get the opportunity to listen to fellow teachers’ experiences of designing lessons taught through problem-solving. In preparation for the conference we have uploaded all the presentations and lesson plans which will be showcased throughout the weekend. How Many People Can Sit at 10 Tables? Maths Counts 2016 is being held in The O’Brien Centre For Science at UCD, Belfield Dublin 4. UCD is easily accessible from the M50 & M11. There is ample free car parking on campus (some parking spaces are Pay & Display so be careful not to park in those!). 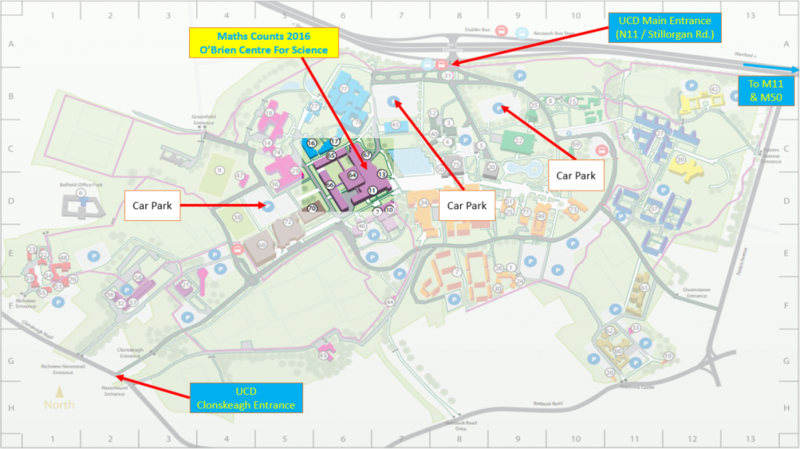 The map below shows the UCD campus. The O’Brien Centre and a number of nearby car parks are highlighted along with the main entrance to UCD. Go to Google Maps or use http://ucd.hittheroad.ie for directions to UCD, Belfield. A special thank you to all the teachers and schools who were involved in Reflections on Practice this year.